What's the difference between 2G, 3G, 4G and HSDPA? Which network has the best coverage? One of the most common questions we're asked is, "what is the best mobile broadband coverage in my area?" It's important to remember that you are not guaranteed to be able to pick up mobile broadband coverage from anywhere around the country. Before you sign up to a mobile broadband package it is vital to check the service provider's coverage information to make sure you will be able to get a strong signal where you live. If you regularly travel to a different location to visit family, friends or for work, you'll also need to make sure that area is covered by your preferred provider too. Because mobile broadband has become such an integral part of our lives, it's amazing to think most mobile broadband services have only been up and running for a relatively short time compared to fixed-line broadband. Because of this, the providers are rushing to improve the amount of the UK that has coverage, with more locations being added all the time. For example, if you checked the Three mobile broadband coverage in your area six months ago, you may now be able to get a fantastic signal. There are lots of reasons for this, from popularity (if lots of people are trying to use mobile broadband in the same area, capacity can become an issue) to adding new towers or upgrading technology in your area. 2G networks (also described as GSM) were designed primarily for voice and text, and are (with a few exceptions) what your mobile phone conversations and text messages use to get from A to B. 2G networks are capable of transferring data, but only very slowly and unreliably. The addition of GPRS (sometimes called 2.5G) and EDGE technology have increased the quality of service. The maximum mobile broadband speed a 2G network is capable of is 473Kb. 3G networks are a progression from 2G and are primarily designed for data transfer. Standard 3G (sometimes called UMTS) is capable of speeds up to 2Mb. HSDPA improves 3G technology and is now used on all UK networks, with a theoretical limit of 10Mb. There is also a newer standard called DC-HSDPA which is gradually being rolled out and allows real-world speeds of 10Mb+. This is currently widely available on Three and also deployed on EE. 4G is the latest generation of mobile broadband and allows for speeds in excess of 20Mb. All the UK networks now have 4G coverage and are growing their networks across the UK, but in many areas coverage is patchy at best; where you can't get 4G, you'll just be shuffled back on to the best the local area can provide (usually 3G). Also, if you wish to use 4G you may need a new phone or dongle as it is not supported by older devices. More recently, networks have begun to use 4G for voice calls, reducing their reliance on the old 2G signals. Every mobile broadband provider has a coverage map which details which areas of the UK it covers for 2G, 3G and 4G services. There are links to all of the providers' coverage maps above. Ofcom has a series of coverage maps on its website, including its UK mobile services map. You can find maps for mobile networks by geographic area or premises, showing indoor and outdoor coverage by region. EE cover a huge swathe of the UK. 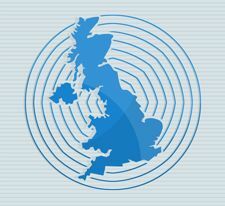 EE has 2G and HSDPA 3G rolled out to the majority of the UK. Its 4G coverage is expanding rapidly and it regularly tops mobile broadband speed tests. O2 is now network sharing with Vodafone across the UK. Their combined 3G network covers most of the UK population and is entirely HSDPA. They began the rollout of their combined 4G network in August 2013, claiming they will have 98 per cent indoor 4G coverage in the next few years. Three's 3G network covers 97 per cent of the UK population, all of which is HSDPA. It began its 4G rollout in 2014. Three often challenges EE for speed in indepedent tests. Virgin Media uses the EE network - see above. All of the UK mobile broadband networks offer 2G coverage to more than 99 per cent of the UK population, so if you can't get 3G coverage you should at least get some sort of mobile signal. However, this could be very slow and unreliable for internet. If you're going on holiday, be sure to check out our Mobile Broadband Roaming tool. It allows you to click on a country and compare roaming prices for the major UK providers. Beginners Guide: what is mobile broadband?